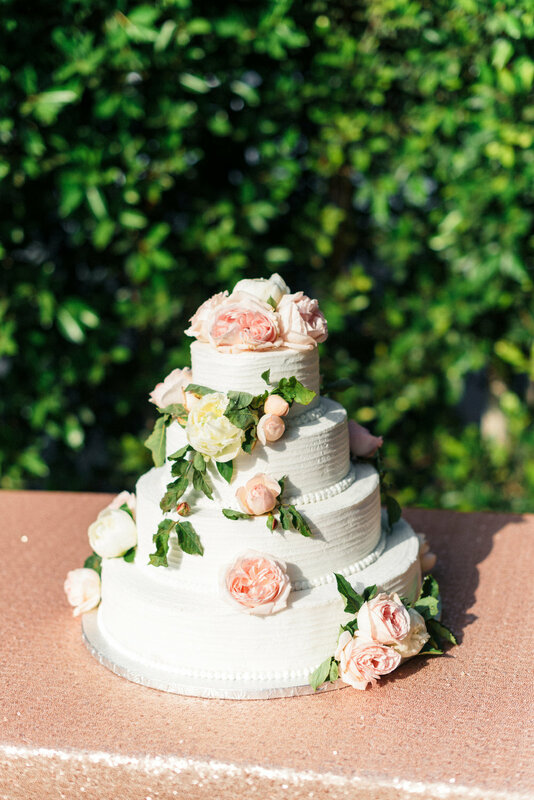 A beautiful, sunny Santa Barbara day at the Riviera Mansion was an ideal combination for the day these two tied the knot. While one bride chose a strapless, lace gown from Pronovias, the other opted for a white pantsuit, with a bolero jacket Alumni Design & Development- Marina Tia Leight. The brides carried beautiful bouquets of white designed by Ella & Louie. The wedding party wore gray gowns from Watters and light gray Joseph Abboud tuxedos. The outfits were completed by either bouquets of white and light peaches and pinks or white boutonnieres. The flower girls rounded out the bridal party, and wore white dresses and flower crowns of soft peach flowers and greenery. 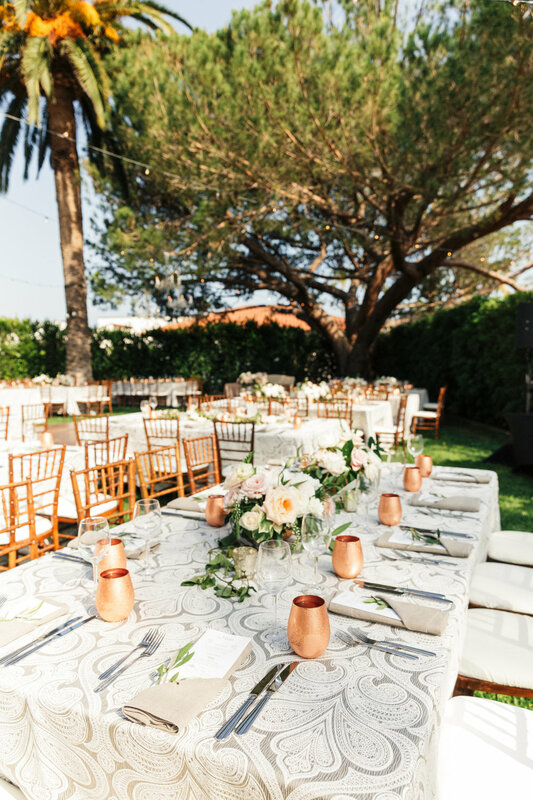 The couple was married under a lovely arch with light peach and white blooms and serenaded by The George Mamalakis Trio. 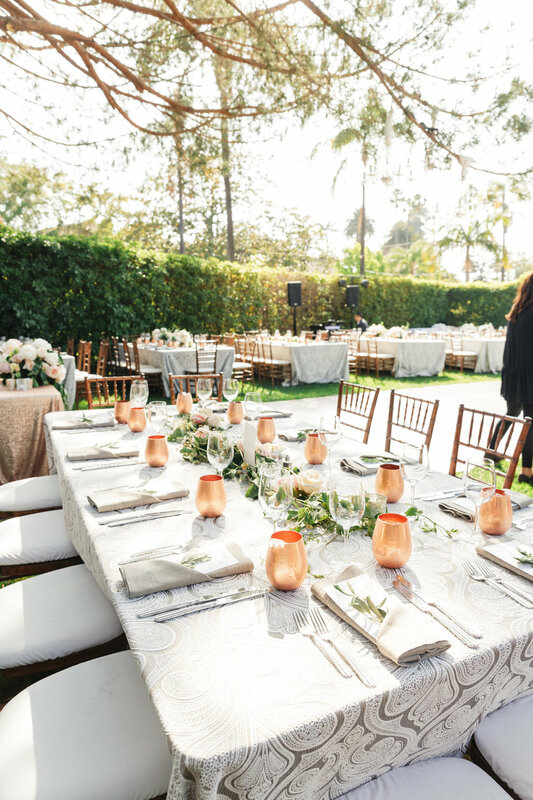 After the outdoor ceremony, the guests moved on to the reception where the tables were beautifully decorated with neutral patterned linens from La Tavola Fine Linen and flower arrangements made in copper vases which coordinated with the copper wine glasses by The Copper Mug Co. at each place setting. The guests enjoyed dinner and dancing at the reception provided by DJ Zeke. The guests sent the couple off in sparkling fashion by creating a tunnel of sparklers for them to run through. 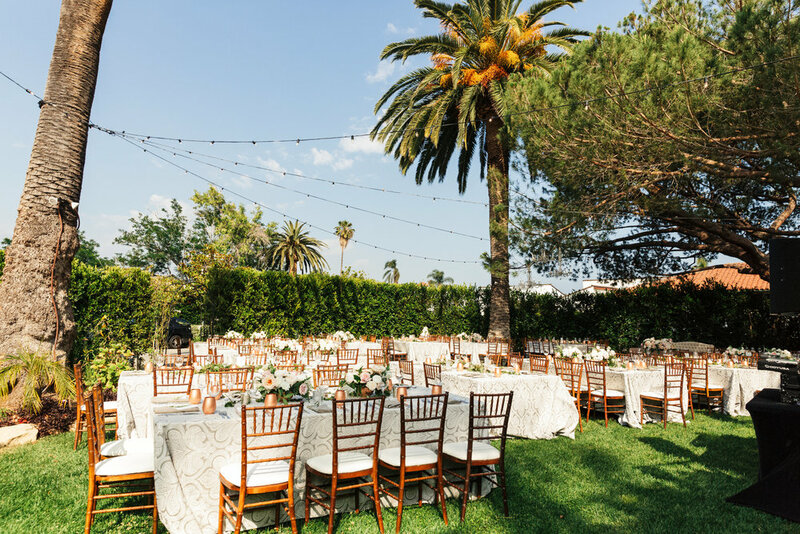 All was perfectly planned by Wild Heart Events and photographed by Sanaz Photography.